On a spring morning in 1872, former Civil War officer Ben Champion is discovered dead in his Chicago bedroom-a bayonet protruding from his back. What starts as a routine case for Detective Frank Hanley soon becomes anything but, as his investigation into Champion's life turns up hidden truths best left buried. Meanwhile, Rivka Kelmansky's long-lost brother, Aaron, arrives on her doorstep, along with his mulatto wife and son. Fugitives from an attack by night riders, Aaron and his family know too much about past actions that still threaten powerful men-defective guns provided to Union soldiers, and an 1864 conspiracy to establish Chicago as the capital of a Northwest Confederacy. Champion had his own connection to that conspiracy, along with ties to a former slave now passing as white and an escaped Confederate guerrilla bent on vengeance, any of which might have led to his death. 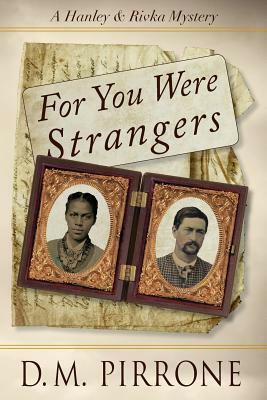 Hanley and Rivka must untangle this web of circumstances, amid simmering hostilities still present seven years after the end of the Civil War, as they race against time to solve the murder, before the secrets of bygone days claim more victims.